"He was a simple and unostentatious king. He did not employ darbans (gate-keepers). At the time of meals, every one who happened to be in the company, shared the meal with him. He did not sit on the throne in the majlis and forbade the amirs from standing. In the Darbar-i-'Am (Public audience) also he did not sit on a throne. All of them sat on fine carpets and coloured floor coverings. He addressed every one of them as masnad-i-a'li (exalted lordship) , If by chance any amir was offended , he tried his best to placate him. He would got to his house , take off his sword from his waist belt and place it before him and apologize saying : "if you do not consider me worthy of kingship , you appoint some one else to do this job and give me some other assignment". 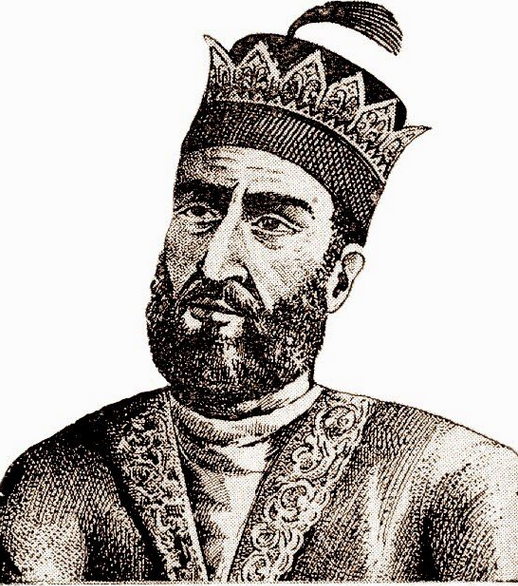 1- According to Tarikh-i-Ferishta (written in 1612 AD), when he captured the treasures of the kings of Delhi, he distributed the spoils among his soldiers and took for himself only a proportionate share . The author of the Tarikh-i-Daudi says that whatever came to him --wealth, property or new parganas --he distributed amongst the soldiers and did not retain any thing for himself. He did not accumulate any treasures. 2- According to Waqiat-i-Mushtaqi (written in 1572 AD), he did not maintain any personal guards. While this could have been in conformity with Pashtun traditions, it shows his confidence in himself and his popularity. Sikandar Lodi had to appoint a special guard for his protection at night. Only in a palace without a guard could the following incident, as recorded by Waqiat-i-Muhstaqi, take place : "A mullah went to Bahlul 's private chamber. The Sultan was just proceeding to bathroom ; the mullah caught hold of the Sultan's loin cloth and asked him to listen to his request and grant it". 3- His food was not prepared in his palace but was sent, in ration, by the nobles. Ferishta says :" His food was not prepared at home nor did he ride a horse from the royal stables. Every day one of the nobles sent him his meal and similarly at the time of the riding , one of them supplied him with a mount". This practice must have been intended to give a sense of participation in the administration to his Pashtun nobles. 4- "He did not sit on the throne in the presence of nobles and forbade them from standing" [Waqiat-i-Mushtaqi]. Equality is key component of Pashtunwali. 6- "He never did any thing contrary to the sharia. From the very beginning of his reign, he recited five daily prayers, and used to go to the mosque on Friday for congregational prayers". [ Waqiat-i-Mushtaqi and Tarikh-i-Daudi]. 7- "If some one fell ill , he went in person and attended upon him. He also used to go personally to express condolence" [ Waqiat-i-Mushtaqi]. This sense of equality is inherent in Pashtuns. What is more to his credit , he was no mere militarist or warlord . He was a man of humane spirit and wanted to promote public welfare by ensuring law and order , administering justice and refraining from burdening his people with insupportable taxes. To the poor and indigent , he was always kind and generous. In short , he was a fairly popular and successful monarch.